On Thursday, May 18, 2017, the graduating class of 2017 will gather at 1:00 pm in the Mother of Perpetual Help Hall Auditorium on the Manor College campus, surrounded by family, friends, faculty, staff and alumni for the commencement processional. 100+ students, who have shown their efforts through hard work and dedication, will receive their long-awaited diplomas conferring Associate degrees in Science and Arts. 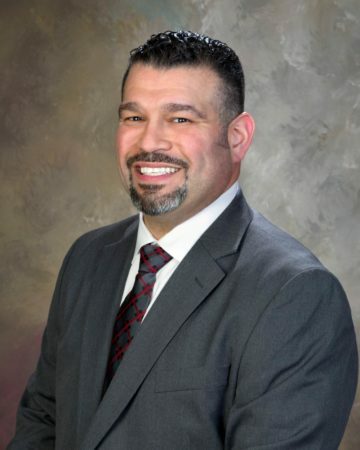 Pedro A. Rivera, Pennsylvania’s Secretary of Education, will be this year’s commencement speaker. Raised in the Huntington Park section of North Philadelphia, Rivera is a lifelong educator and very familiar with Manor College. From 2008 – 2015, he served as the superintendent of the School District of Lancaster. His position as Secretary of Education was appointed to him by Governor Tom Wolf and was unanimously confirmed by the state Senate in 2015. Prior to his title as superintendent, Rivera spent 13 years in the education field as he worked his way up. He served as a teacher, a staff member of the Philadelphia Federation of Teachers, an assistant principal, a principal and the executive director for the School District of Philadelphia. His extensive experience in education and a career of helping students is heavily utilized in his role under Governor Wolf. During his time as superintendent, Rivera and his team created a new PreK-12 curriculum, an aggressive professional development plan and innovative teacher observation tools. Under these changes, the district’s graduation rates and state assessment scores improved, including noticeable increases in math, writing and science, along with heightened participation in college-aimed programs. Rivera also served on the bipartisan Basic Education Funding Commission, which created a funding formula to reinvest in Pennsylvania’s schools that was signed by Governor Wolf in June 2016. In September of 2014, Rivera was one of only ten nationwide to be honored as a Champion of Change by the White House. Rivera’s district has also been recognized by the Washington Post for having one of the top twenty high schools for academic rigor in the United States. Manor College welcomes Rivera as its 2017 Commencement speaker, and is looking forward to hearing his thoughtful remarks to the Manor College Class of 2017.